“One by one for thousands of years the great powers of the known world have all fought in turn to control an island, the possession of which has usually coincided with the zenith of the controlling power and the loss of which has marked that power’s lapse” Dan Davin The Battle of Crete. A Byzantine dome n a Cretan church. By the first century AD, Crete had already seen the great Minoan, Mycenean, Dorian, Hellenic and Roman civilisations rise and fall. When Rome fell, in 69 AD, Crete became part of the mighty Byzantine Empire. In 824, the Egyptians took possession of the island, and under Arab Abu Hafs, it became a pirate outpost. In 951 it was taken again by the Byzantines. Then, in 1204 it was sold to the Venetians. Finally, 1645 it became part of the Ottoman Empire. It took Crete almost two hundred years to win independence and to become, if not their own nation, then at least part of Greece. But, barely a century later, after the terrible battle of May, 1941, it was occupied again, this time by the Nazis. All these powers have left their mark on Crete, both on the land and on its architecture. The ruins of the Kingdom of Minos lie at Knossos, Phaestos and Archanes in the prefecture of Heraklion. 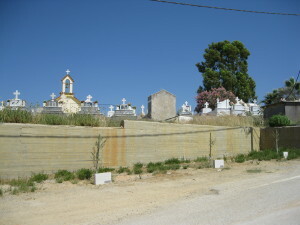 Nearby are the remains of the ancient Roman town of Gortys. 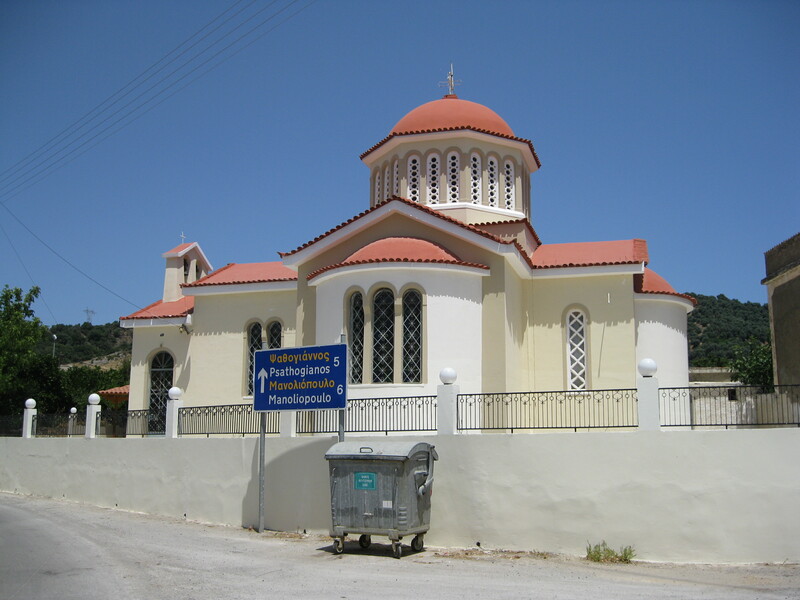 The Byzantine legacy is written into many of Crete’s buildings, particularly its churches. Fragments of Egyptians temples to the gods Isis and Sarapis stand among the ruins of Gortys. A forest of 5000 date palms surrounds the golden beach at Vai, 160 kilometres from Heraklion on the eastern edge of the island. Legend has it that the palms grew from the seeds of dates that Arab pirates tossed away when they camped in the bay. The beautiful harbour and dockyards at Chania mark the time when the Venetian navy ruled the Mediterranean from Crete. The ghosts of the forces who battled for Crete in 1941, linger in the graveyards of Maleme and Souda Bay. The most important legacy of these thousands of years of occupation, however, is stamped on the character and the spirit of the Cretan people, who, throughout, have held fast to their integrity and their pride in their own unique culture.